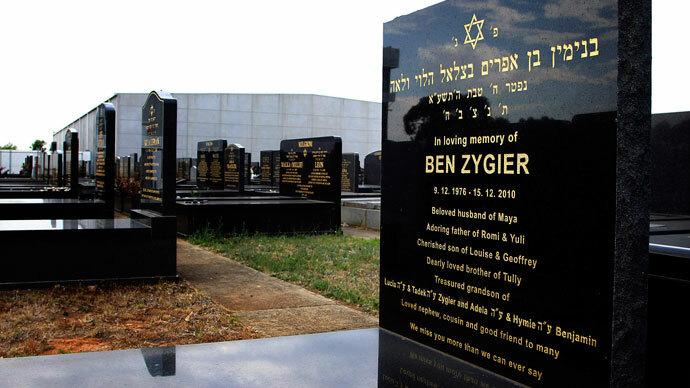 Ben Zygier, who committed suicide while detained in Israel’s maximum-security Ayalon prison, had given away sensitive information to a Lebanese militant group in an effort to recruit them, a German magazine has reported. 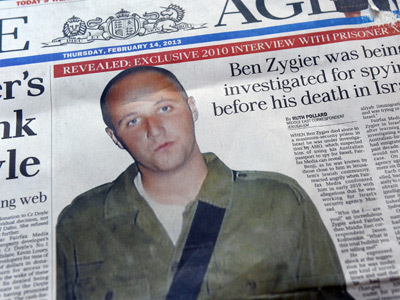 Zygier, the Australian-Israeli Mossad agent who was found hanged in his prison cell in December 2010, had passed information to Hezbollah, Der Spiegel reported on Sunday. In the course of his work, Zygier met with Hezbollah supporters and while trying to convince them to work for Mossad, “disastrously spilled highly sensitive information,” including the identities of Lebanese nationals secretly working for Israel, Der Spiegel reported. Zygier seemed willing to divulge sensitive information on Israeli intelligence operations in an effort to not only attract new recruits, but to boost his reputation inside the renowned agency. The Israeli agent’s brazen methods became apparent in the early hours of May 16, 2009 when Lebanese special forces raided the home of Ziad al-Homsi in the village of Saadnayel in the western Bekaa Valley, the Sydney Morning Herald (SMH) reported on Monday. As the article revealed, Homsi had been recruited to work as a spy for Israel since 2006, earning around US$100,000 for his services. There appears to have been good reason why Mossad sought Homsi’s support: according to leaked excerpts from Homsi's interrogation, Homsi had assured his Israeli handlers that he could lead them to Hassan Nasrallah, the leader of Israel's sworn enemy, Hezbollah, who has remained in hiding for years, the SMH reported. Another of those arrested was Mustafa Ali Awadeh, known as ‘Zuzi’ by Israeli intelligence, who reportedly had close contacts with Hezbollah. The men were subsequently sentenced to 15 years of hard labor. The leaked intelligence that led to the arrests of these two highly valuable Mossad assets has been described as one of the most serious security breaches in Israel's 65-year history. 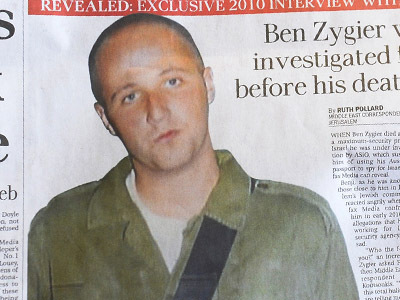 The story of Ben Zygier made international headlines only after an Australian news program identified Zygier as Israel's mysterious ‘Prisoner X’, whose cell in Unit 15 was originally built to house Yigal Amir, the fanatic who assassinated former Israeli Prime Minister Yitzhak Rabin in 1995. 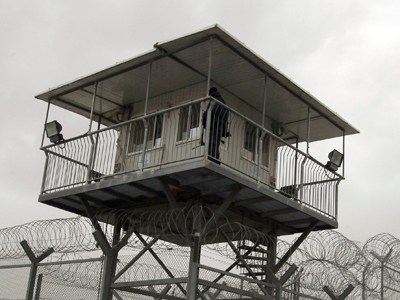 ''He is simply a person without a name and without an identity who has been placed in total and utter isolation from the outside world,'' a prison official was quoted as telling Israeli media in 2010, when news of the unknown inmate first broke. When Zygier’s death was announced, Israel - calling the case a potential threat to national security - issued a gag order preventing media from discussing the case. After pursuing its own ‘internal investigations’, the report found that Zygier had begun working for Israeli intelligence in 2003, tasked with investigating European companies doing business with Iran and Syria. The report said Israeli security officials had told Zygier following his arrest that they wanted to make an example of him and demanded a prison sentence of at least 10 years. 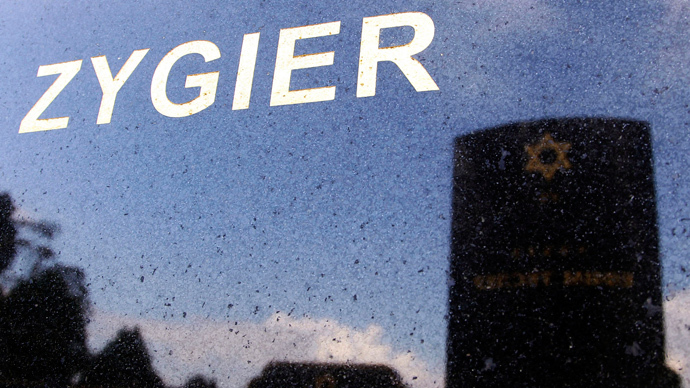 Zygier was found dead in his cell, which has been described as 'suicide-proof,' in December 2010 at the age of 34. Now, many Australians are contemplating whether their government could have done more for one of its citizens. 'Prisoner X' took part in Mossad operation of killing Hamas operative in Dubai?